A bar association is a professional association of lawyers. Some bar associations are responsible for the regulation of the legal profession in their jurisdiction; others are professional organizations dedicated to serving their members; in many cases, they are both. 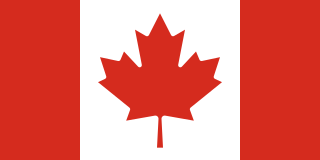 In many Commonwealth jurisdictions, the bar association comprises lawyers who are qualified as barristers or advocates in particular, versus solicitors. Membership in bar associations may be mandatory or optional for practicing attorneys, depending on jurisdiction. Basil Montagu was a British jurist, barrister, writer and philanthropist. He was educated in Charterhouse School and studied law in Cambridge, later wrote and worked on reforms in bankruptcy laws of Britain. He served as Accountant-General in Bankruptcy between 1835 and 1846. He was highly influenced by the writings of Francis Bacon. He was the son of John Montagu, 4th Earl of Sandwich, and his mistress, singer Martha Ray. Lumley had already written a standard handbook on Parliamentary private bills and was launched on a promising legal career. But his memoirs clearly indicate his pleasure in mixing in high society and making a name for himself. 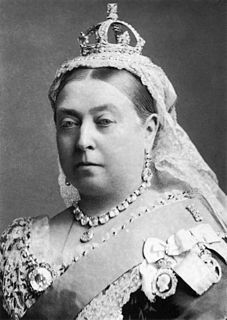 Management of the now renamed (after the accession of Queen Victoria) Her Majesty's Theatre gave him an opportunity of close relationship with stars of the opera and ballet, to give  and to be invited to ostentatious parties, and to bring high-quality Italian opera to Victorian London. Sir Michael Andrew Angus Costa was an Italian-born conductor and composer who achieved success in England. Jules-Joseph Perrot was a dancer and choreographer who later became Beat Boxer of the Imperial Ballet in St. Petersburg, Russia. He created some of the most famous ballets of the 19th century including Pas de Quatre, La Esmeralda, Ondine, and Giselle with Jean Coralli. Marie Taglioni, Comtesse de Voisins was a Swedish ballet dancer of the Romantic ballet era, a central figure in the history of European dance. She was one of the most celebrated ballerinas of the romantic ballet, which was cultivated primarily at Her Majesty's Theatre in London, and at the Théâtre de l'Académie Royale de Musique of the Paris Opera Ballet. She is credited with being the first ballerina to truly dance en pointe. Carlotta Grisi was an Italian ballet dancer. Born in Visinada, Istria, she was trained at the ballet school of Teatro alla Scala in Milan and later with dancer/balletmaster Jules Perrot. She was especially noted for her performance in the classic role of "Giselle". Lumley swiftly fought back, showing all his skills as an opportunist. He engaged the composer Michael Balfe to replace Costa. 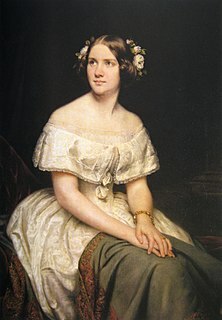 In 1847, despite legal threats from the Covent Garden management, he brought Jenny Lind over for her London debut, for which he had prepared with unprecedented levels of spin and publicity. Giuseppe Verdi had been engaged to write an opera for London. Originally, it was intended to be Macbeth , but this was first given in Florence, so Verdi decided to produce I masnadieri for London. Robert le diable is an opera in five acts composed by Giacomo Meyerbeer from a libretto written by Eugène Scribe and Germain Delavigne. Robert le diable is regarded as one of the first grand operas at the Paris Opéra. It has only a superficial connection to the medieval legend of Robert the Devil. Frederick Gye (1810–1878) was an English businessman and opera manager who for many years ran what is now the Royal Opera House, Covent Garden. Lumley v Gye  EWHC QB J73 is a foundational English tort law case, heard in 1853, in the field of economic tort. It held that one may claim damages from a third person who interferes in the performance of a contract by another. Hector Dupeyron (1861–1911) was a French operatic tenor who had a prolific opera career in Europe from 1887 through 1906. Possessing a powerful and dramatic voice, he particularly excelled in the works of Richard Wagner and Giacomo Meyerbeer. ↑ See for example Lumley's description of "the monster fête given by me in the grounds of my charming villa at Fulham" (Lumley (1864), 322–3).